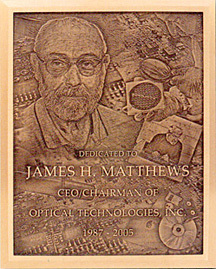 ... an innovative, patented process that offers the ability to create truly personalized plaques that combine the enduring beauty of cast bronze with the detailed look of a photograph. ImageCast™ is perfect for signage, historical markers, or any identification sign that tell a pictorial story. 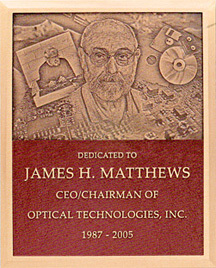 Etched Portrait - American Medical Association - Stephen Schmidt M.D.